kw_lam 2010-4-3 10:59 種子 +10 恨死隔離 Green-eyed monster ! hkmoths 2010-4-3 10:27 種子 +10 難得一見 It's a great find ! Please p.m. me the exact locations (GPS lat/long, or UTM grid, or HK grid, to nearest 100m). There is only on other record for this species in Hong Kong. The type locality is Guangzhou. The species was described by Dufay (1970) and placed in the genus Plusia. However, the actual generic placement is not yet established and the species is listed as "genus unknown" on the BMNH's LepIndex. 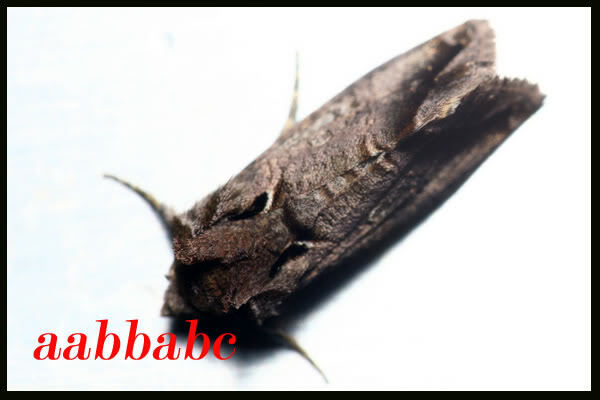 It is a globally rare moth and would likely qualify for IUCN red list category VU (vulnerable), or possibly even EN (endangered) given the paucity of data on this species. If we get a few more records, Hong Kong will become the global stronghold for this species! Nothing is known about its ecology. Your photo is almost certainly the first ever depicting the adult alive. Noctuidae, Plusiinae - "Plusia" chariessa ??? Noctuidae, Plusiinae - " Plusia " chariessa ??? more records coming out of the woodwork! !